The Abu Dhabi Air Expo 2018 came to a close on 28 February 2018 concluding the 3 day event held at Al Bateen Executive Airport, under the patronage of His Highness Sheikh Hazza bin Zayed Al Nahyan, Vice Chairman of the Executive Council of the Emirate of Abu Dhabi. Abu Dhabi Air Expo 2018 brought together key players in business and general aviation, enabling attendees to discover the industry's latest progress and innovations. One of the highlights of the event was the signing of a memorandum of understanding between Abu Dhabi Airports and San Bernardino International Airport Authority, paving the way for extensive collaboration between Al Bateen Executive Airport with San Bernardino International Airport. The two airports will work together on a variety of aviation industry issues, focusing in particular on maintaining pioneering services during high demand, deployment of latest technologies and sustainability. Gulfstream Aerospace Corporation showcased two of its award-winning, large-cabin aircraft at the Abu Dhabi Air Expo. The static display included the all-new Gulfstream G500 and company flagship Gulfstream G650ER. Photos © Gulfstream. 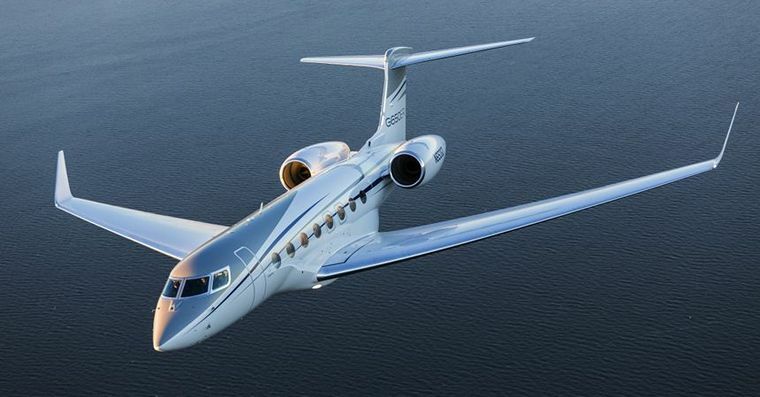 In addition, Abu Dhabi Air Expo 2018 saw the unveiling of Gulfstream's G500 for the first time in the Middle East, and Dassault's Flacon 8X, which attracted potential buyers and operators to the show. Atlas Aerospace, part of Atlas Group, a UAE based private company specialized in aircraft modifications and upgrades, showcased its flight simulator for the first time using a commercial aircraft software; an Airbus A320. 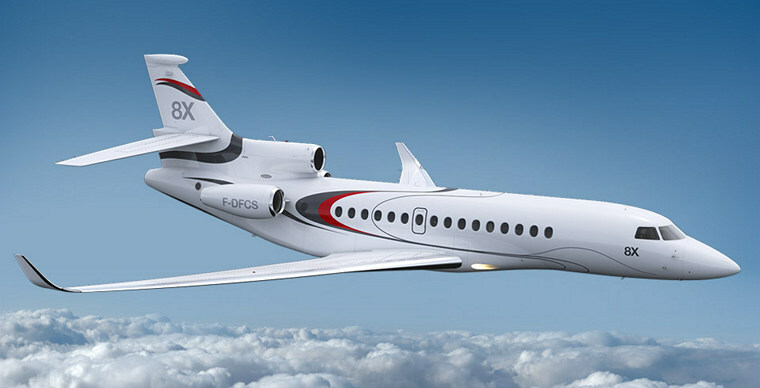 Dassault's Flacon 8X, attracted potential buyers and operators during the show. Photo © Dassault. Abdul Majeed Al Khoori, Acting chief Executive Officer of Abu Dhabi Airports, commented: "We are delighted with the feedback we are receiving from our exhibitors this year, as many of them saw the show as an extremely effective platform to meet key industry peers and have generated potential and real business lead. "With the overall sentiment at Abu Dhabi Air Expo 2018, in its fifth edition, we believe that it has once again played an important role in bringing together industry leaders in our capital, to learn about the latest developments within the business and general aviation sector" he added. JMB's VL-3 Evolution with retractable gear. The VL3 is available with two different engines; the Rotax 912 and the Rotax 914. Photo © JMB Aircraft. Exhibitors such as Dassault, Bombardier, JMB aircraft and Wallan Aviation commented on the success of their participation in this year's show, especially in connecting them with viable business leads. Atlas Aerospace's Managing Director, Professor Imad Lahoud, commented: "Abu Dhabi Air Expo 2018 is our first step towards approaching civil aircraft, and having a base at Al Bateen Executive Airport, it was only natural for us to take part and use this event as a platform to promote our business and industry. The expo offered us the opportunity to meet private jet operators and manufacturers and introduce them to the latest technologies and regulations such as "Safety 2020"." Claudio Camelier, VP sales at Embraer Executive Jets said: "Embraer was very pleased to be at Abu Dhabi Air Expo 2018 and to present our state of the art Legacy 500, the most technologically advanced midsize aircraft in the market. Abu Dhabi is a great market for us as we have gratefully acquired few important customers for our Legacy 650 and Lineage 1000 models." Along with key local and international entities within the business and general aviation world, Abu Dhabi Airports showcased two of its leading businesses; Abu Dhabi Duty Free and Abu Dhabi Airport Free Zone (ADAFZ), to offer their competitive products to visitors and entities alike. During the 3 day event, ADAFZ signed with Atlas Aerospace for the latter to expand its business in the free zone sector. Mr. Al Khoori concluded: "I would like to take this opportunity, on behalf of Abu Dhabi Airports, and express our gratitude to our local and international partners and sponsors for their unwavering commitment to the success of this unique show, and we look forward to delivering together yet another pioneering event at Abu Dhabi Air Expo 2020, which we promise to be re-invented into a platform for innovation." Air Expo 2018 occupied nearly 60,000 square meters of space at Al Bateen Executive Airport, with manufacturers and suppliers exhibiting the latest private aircraft, helicopters, airport equipment and services, avionics, and also provided information on insurance and financing. Al Bateen Executive Airport, the only exclusive business aviation airport in the Middle East and North Africa (MENA); began commercial operations in 2008 from its location at the heart of Abu Dhabi city and currently has a stand capacity for up to 90 private jets.